PE Investors: THE BIG IDEA for Stress Testing Businesses with Process Triaging. Buyers and investors in businesses insist on factual proof that the company is scalable. Scalability comes from processes that have a scalable design (execution) and a scalable operating system (support and oversight). Process Triaging is an effective way to stress test a company’s core processes and assess scalability. An additional deliverable of this stress test includes a set of process improvement proposals for immediate action that, when implemented, improve the business’s scalability. Process Triaging also exposes key person concentration risks. It provides a framework for identifying key person understudies and pre- or post-sale staffing requirements. For more info, shoot us a note. https://processtriage.com/wp-content/uploads/2014/11/logopng2-300x110.png 0 0 Joseph Rosenberger https://processtriage.com/wp-content/uploads/2014/11/logopng2-300x110.png Joseph Rosenberger2019-01-25 21:31:192019-01-25 21:31:21PE Investors: THE BIG IDEA for Stress Testing Businesses with Process Triaging. Two Things Master Executives Provide Highest Performing Teams. A lot of your executive leader effort focuses on championing your enterprise’s goals — what you measurably want to achieve, and your culture — how you want to go about, in terms of motives, morays, and morals. Physically and tactically, this involves designing, building, and sustaining scalable business processes (how valuable things get made) and the expert teams that run them. Well designed processes deliver business results when trained and enforced. They are repeatable, scalable, sustainable, and affordable. If you design your processes to express your culture and values, they will achieve this as well, remembering culture trumps everything, but cash pays for it, and processes deliver it. 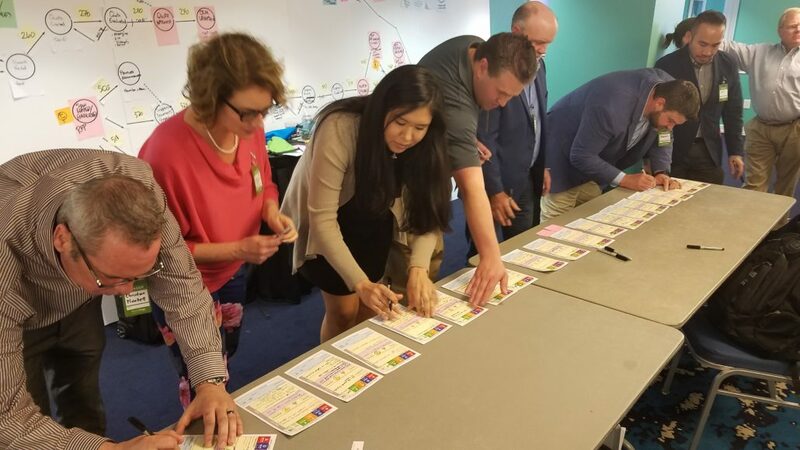 The idea is to get your business processes right, then staff, train, and run these processes with go-to teams of individual skill experts who, together, can continually improve the process. Bottoms up. With every improvement course-correcting closer to your goals, objectives, and culture. It means those experts closest to the work are responsible for improving the work processes. Not you — not top down. It’s work you must find a way to delegate. You must provide your process teams with two things your executive position gives you by virtue of your top-of-the-pyramid position: situational awareness and emotional empathy. Situational awareness is knowing how everything in the business model fits and the dependencies between things – for example, from how a raw lead is generated, then handed off to sales and then on to fulfillment and ultimately accounts receivable to post the cash. It’s being aware of tools and technologies and who and what does what, and how all these things consume or create cash. 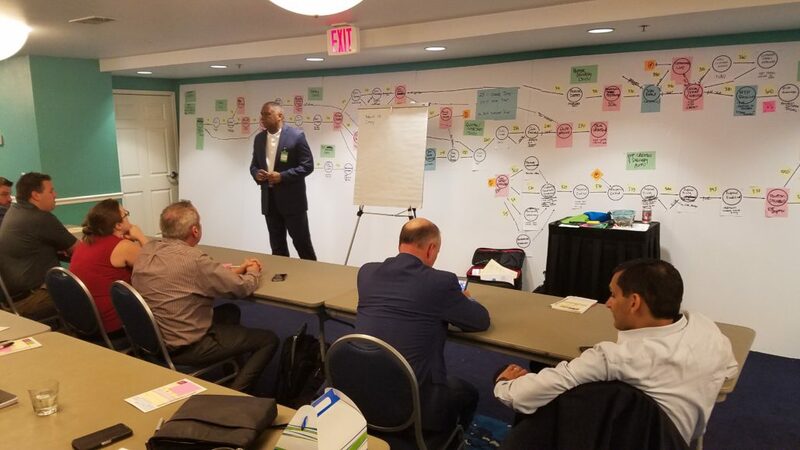 Situational awareness is necessary for process triaging, and nothing expresses this awareness like a well crafted process map, one designed for issue processing. The best triaging map uses the terms and language of your go-to team members who live the process. This ensures their situational awareness is expressed in a clear and common language, and issues triage quickly. Executive Sponsor Karl Houston reviews a process team’s findings. The team’s process map is in in the background. Courtesy NetSync Network Solutions®. Emotional Empathy includes the ability to understand and anticipate how teammates personally impact each other in and by their process. Team members are the more fulfilled, purposeful and productive — yes, happy, when others understand what they need and do, and vice versa. They know — on an emotional level, how what they do affects those down stream, as well as when to reach upstream and share insights that will help things run better. This empathy is developed by solving process problems — triaging together, collaboratively defining and measuring process pain points and working through solutions. In the plainest language, it means when it comes to core business processes, the teams that live in them must own the performance monitoring and issue processing. It has to be delegated out of the executive suite. Process Triage team members sign up to lead and mentor their prioritized pain point solutions at the close of a ProcessTriage session. Courtesy NetSync Network Solutions®. Joseph Rosenberger, ProcessTriage® Facilitator. When we delegate this successfully, day-to-day operational problems are handled with a more nuanced, technically feasible and emotionally supportive solutions, all with strategic fit. The executive team has more time available for exclusively executive work, such as business development and longer horizon opportunities. That’s what Process Triaging does. It gives teams situational awareness and develops emotional empathy — two things master executives provide their highest performing teams. https://processtriage.com/wp-content/uploads/2014/11/logopng2-300x110.png 0 0 Joseph Rosenberger https://processtriage.com/wp-content/uploads/2014/11/logopng2-300x110.png Joseph Rosenberger2019-01-17 13:23:162019-01-17 13:23:17Two Things Master Executives Provide Highest Performing Teams.